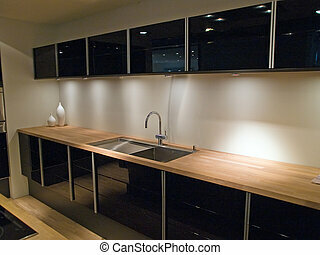 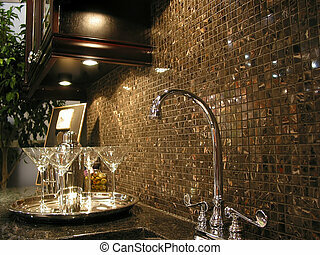 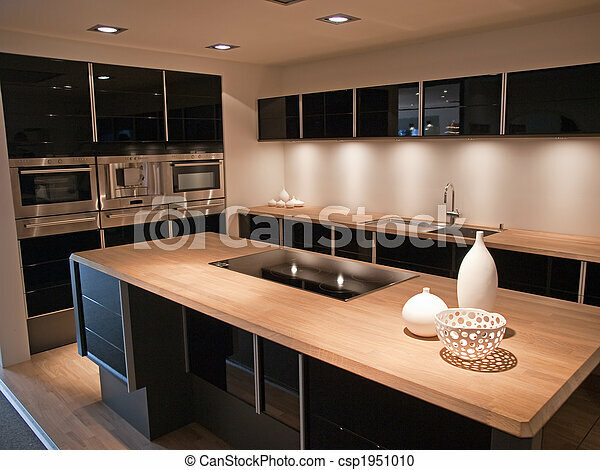 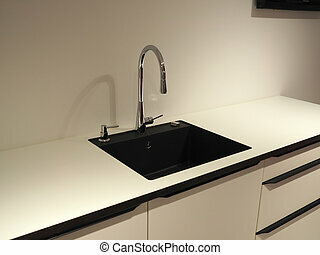 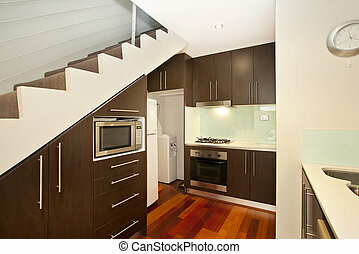 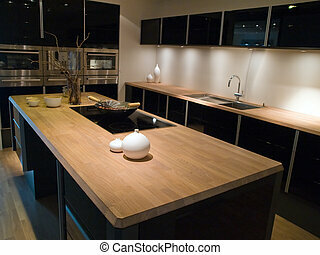 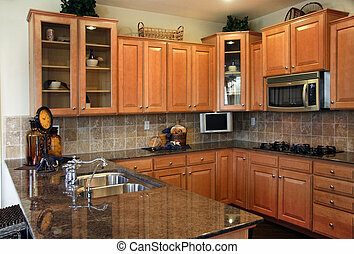 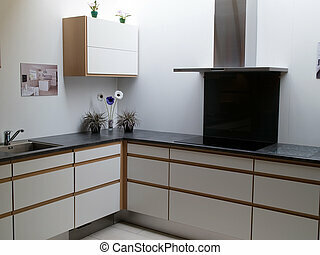 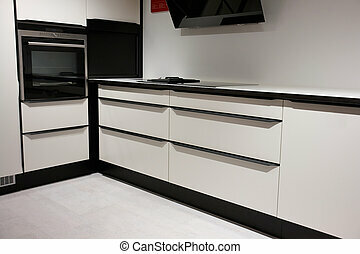 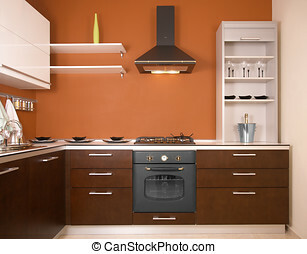 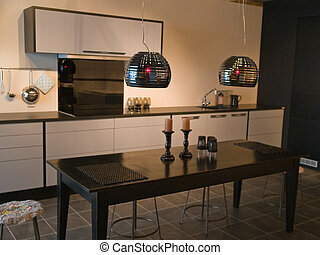 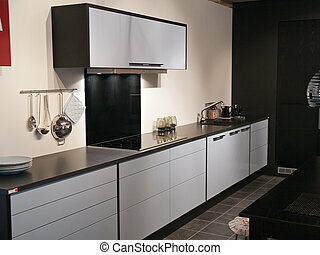 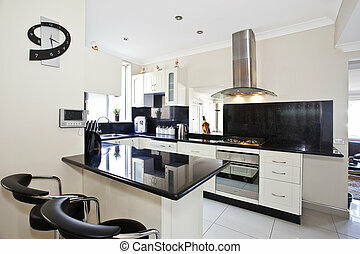 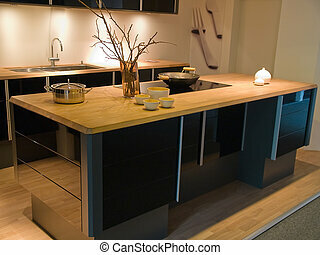 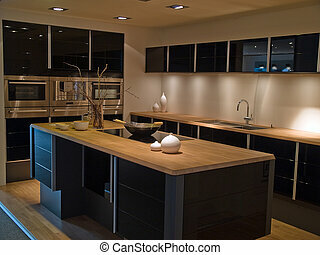 Modern trendy design black wooden kitchen. 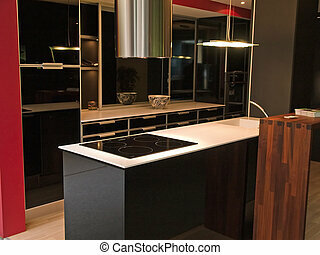 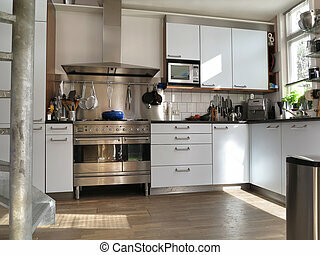 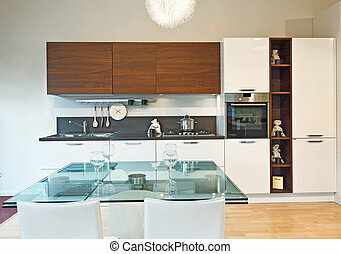 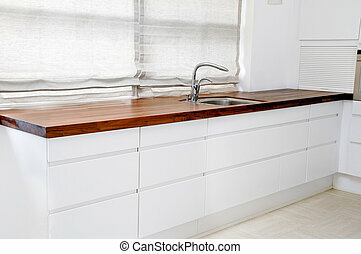 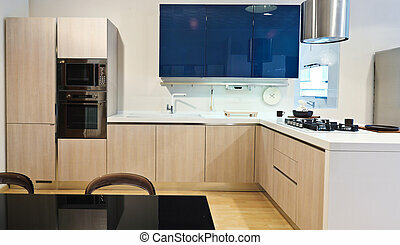 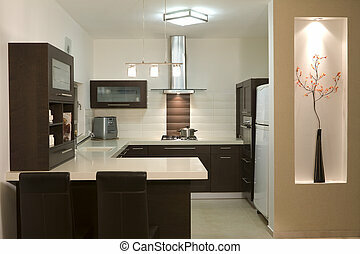 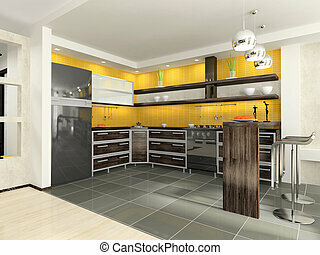 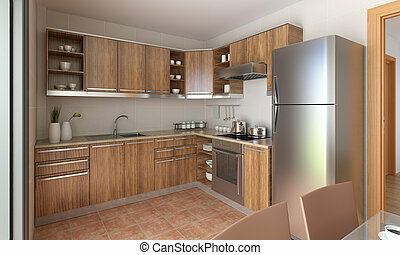 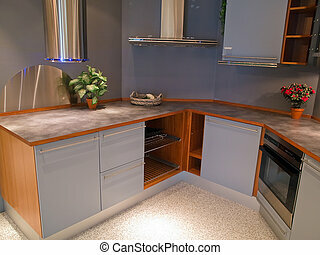 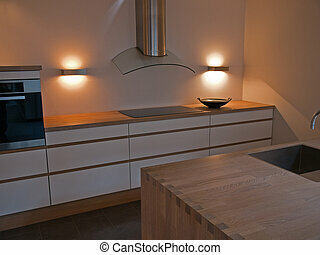 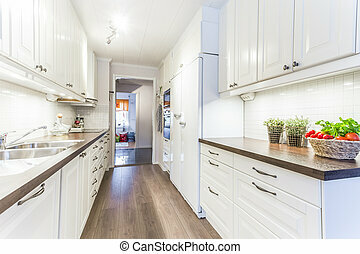 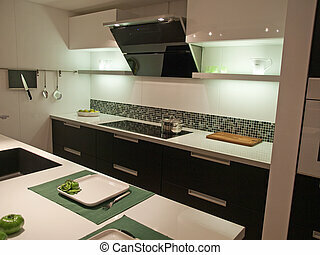 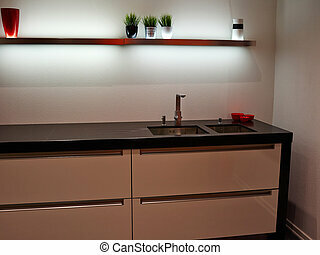 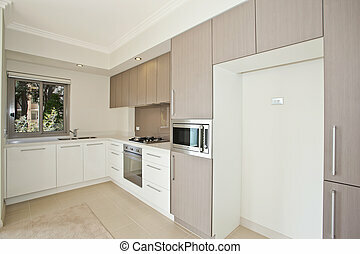 Modern design trendy kitchen with black and wood elements. 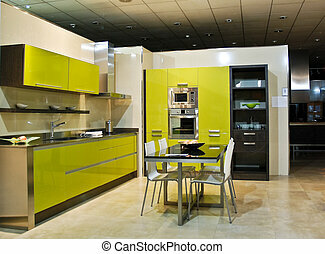 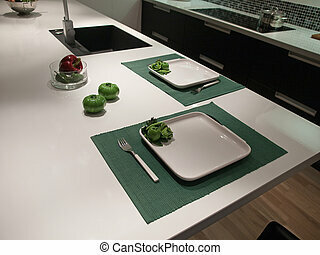 A full modern kitchen, lime green.